This Sling Swing Chair offer 2 seats. The framework is steel which surface with powder coating treatment. that's Great for outdoor or indoor play! Ideal for your backyard fun!This swing chair is easy to assemble free standing swing seat, cover and stand,holes and easy to fit in pieces and assembled. Cover design provide protection from the sunshine. This Outdoor Swing chair for a great way to rest and relaxing, it's suitable for garden and patio,spacious soft seat give you a comfortable experence.Design novel, generous casual style for modern living and household. Looking for ideal Sling Swing Chair Manufacturer & supplier ? We have a wide selection at great prices to help you get creative. All the Poolside Swing Chair are quality guaranteed. 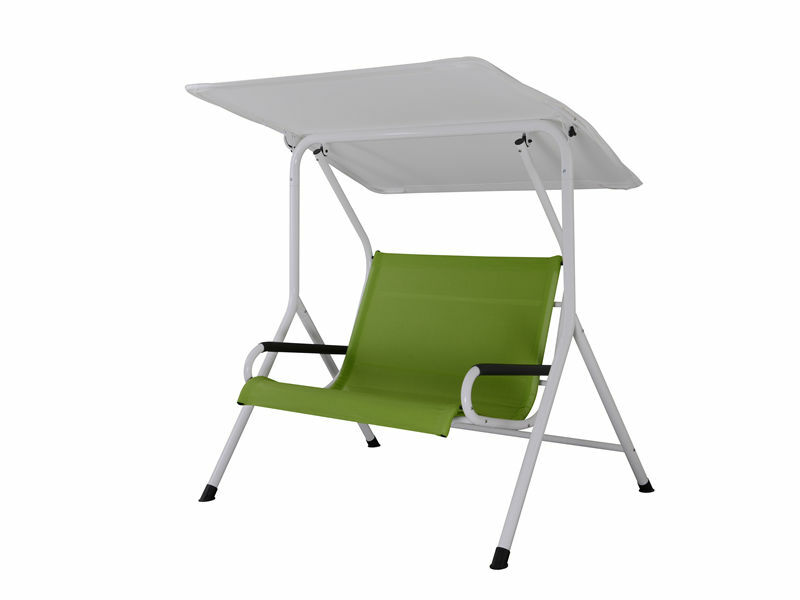 We are China Origin Factory of Outdoor Swing Chair with Canopy. If you have any question, please feel free to contact us.